Wednesday, January 30, San Francisco–TURN Executive director Mark Toney urges the federal judge overseeing PG&E’s criminal probation to place the company in federal receivership in an Op Ed published in today’s San Francisco Chronicle. Judge Alsup has called PG&E on the carpet due to its continuing pattern of negligence, and is expected to impose new conditions on the convicted felon. Federal courts have placed the California State Prisons and the Oakland Police Department under receivership; like those institutions PG&E is in desperate need of more effective oversight. 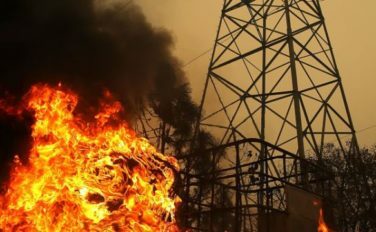 In a proposed order, Judge Alsup would require PG&E to inspect its entire electrical grid and to cut off power if the company can’t show the lines are safe. That order may be revised to take into account the practical difficulties of rushing inspections and the dangers of clear cutting and blackouts. The Judge could also adjust the order in a manner more consistent with the way other felons have been treated.